The Freitag Brothers (Markus & Daniel Freitag) developed a mobile kitchen with an indoor composting facility. The installation was specially conceived for the Walking Chair Gallery, using their signature and favorite material: truck canvas cover. 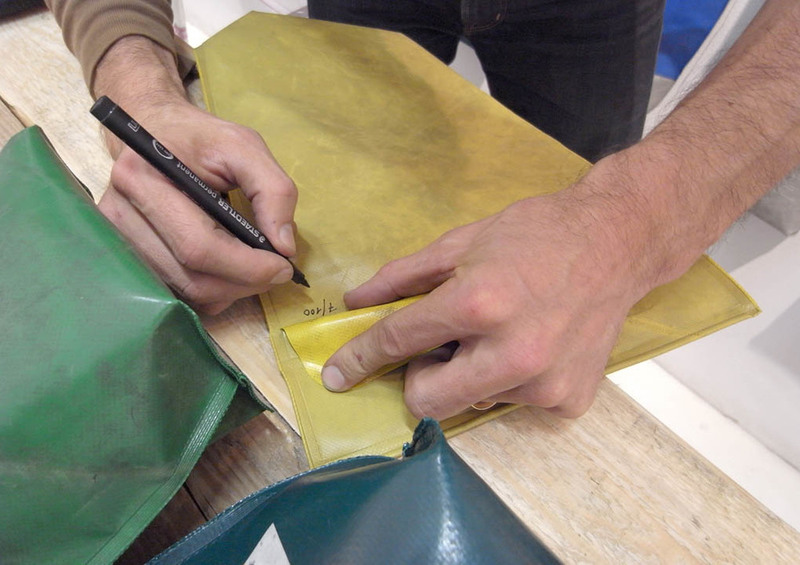 A special bag in a limited edition of 100 pieces was developed to collect the organic waste and given to the visitors asking to bring their organic home waste to the indoor composting facility, all bags were signed and numbered by the Freitag Brothers. 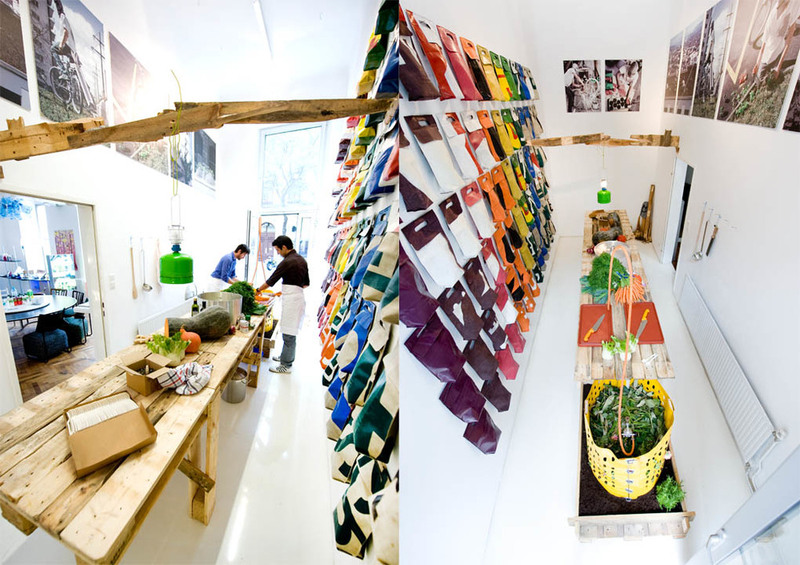 Urban gardening was the very first gallery show for the swiss bag makers.